Designed to shape and breath life into your signal, the WA 12-500 MKII preamp from Warm Audio uses a discrete op-amp, the X731, which is their faithful reproduction of the classic Melcor 1731. 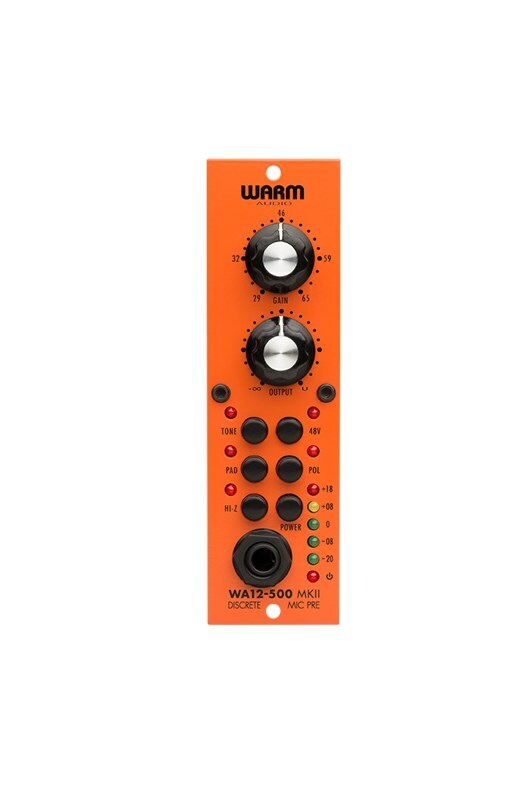 Excellent for any number of recording applications, the WA-12-500 MKII is a discrete, high voltage preamp featuring dual transformers with high gain (+71dB), low noise and high headroom. An integral piece of studio kit if you wish to bring unprecedented warmth, size and clarity to your recordings. The WA 12-500 MKII features professional-grade input and output CineMag USA transformers, whilst the discrete 6-pin socketed 1731 style opamp can be replaced with other '2520 foot-print' opamps to change the tone of your sound. You get a distinct tone when playing various instruments through the WA12 via a 1/4" jack, this is because the 2 Meg Phm True HI-Z input sends the signal through the entire available circuit via BOTH CineMag transformers and the opamp. The front panel features a TONE button that switches the input impedance level to change the tone of both the mic and HI-Z inputs, other buttons include switchable 48v phantom power and smooth action gain and output knobs. Utilizes premium grade input and output USA CineMag transformers. 71db of Gain, fully discrete signal path. 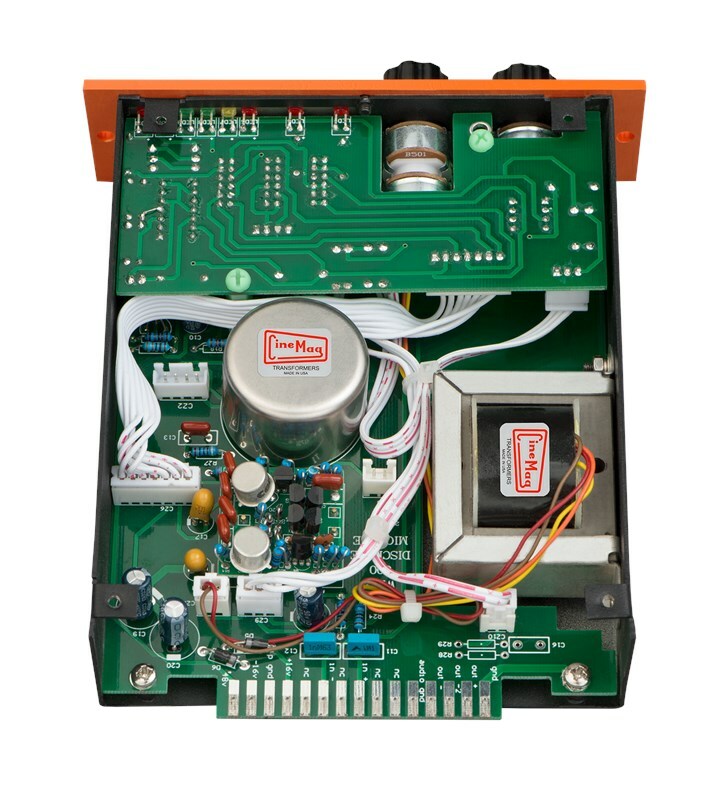 TONE button – Switches the input impedance from 600 ohms to 150 ohms. Changes the tone of both the mic and HI-Z inputs. 2 Meg Ohm True HI-Z input on front panel. Sends instrument signal through entire circuit including both Cinemag Transformers and the discrete opamp. Great for guitars, bass, keyboards and other instruments that have a 1/4″ output jack. Output attenuation control (after the CineMag output transformer) allows for driving the preamp and transformers into saturation.